If you’re looking for simple ways to slash your monthly expenditure in half, simply continue reading to discover 6 effective money saving tips to use on a daily basis. If you’d love to be able to dress in your favorite brands without having to pay a small fortune it’s well worth putting off purchasing new clothes until your favorite stores hold an annual sale. As an example, most stores offer great sales on Black Friday and Memorial Day. If you know that a massive sale is due to take place within the next few weeks, it’s well worth trying on any items which you’re interested in purchasing, so that when your chosen store begins their annual sale, you’ll be able to purchase items which you’re interested in straight away. As sizes may sell out fast. Better yet, if you’ve tried on items which have caught your eye in advance of a sale, you should be able to purchase the items which you liked online. In order to stay up to date with your favorite store’s sales, it’s well worth signing up for emails from your favorite brands as you’ll normally be notified of upcoming sales before they start. Better yet, you may even find that your favorite stores may begin sending you exclusive coupons, which you’ll be able to use to make your online shopping hauls a little cheaper! It’s well worth dining out at cafes and restaurants which serve generous portions for a reasonable price as that way you’ll be able to save money by sharing a meal with a friend or family member when you dine out. Another way to save money when you choose to dine out is to order an inexpensive menu off the children’s menu at a cafe or restaurant when you’re not feeling particularly hungry. As children’s meals offer great value for money and are usually a lot larger than you’d expect. If you normally spend a small fortune, on alcohol, food, and movies, when you arrange to catch up with your family members and friends, it’s well worth searching for cost-free activities and attractions to bond over instead of meeting at a bar or cafe. As examples, you may want to go for walks with a friend who lives locally or to visit an art gallery or museum with a friend. In the warm summer months, you should also have no trouble finding free festivals, outdoor movies, and concerts to attend with your friends and family members. If you want to be able to receive free goods, by shopping at your favorite stores, it’s well worth taking the effort to sign up for as many loyalty programs as you can. In order to reap a wide variety of rewards. 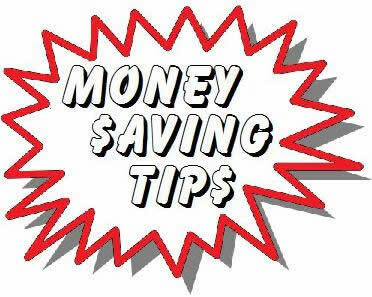 So if you’re looking to increase your savings, it’s well worth following all 6 of the effective money saving tips listed above.